Recruitment the best staff to your companyis a huge responsibility therefore if the recruiters or hiring managers go wrong, then everything might turn upside down. The company and the HR Executive firms need to work hand in hand to dig out the treasure that is a potential candidate in this case. But the recruitment consultants or Recruitment firms often find it really hard to cope- up with some of the biggest challenges that come on their way. · High Competition in the market- By far, one of the biggest challenges businesses face is competing with big name brands and well-established organizations. 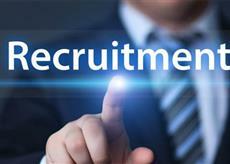 The ever-increasing demands for effective recruitment have led to the emergence of countless staffing agencies. Big brands typically offer better benefits packagesand several other advantages.It doesn’t matter if you own a recruitment agency, or a small firm; there are always competitors to overcome. The best way to solve this issue is to deal with it. The sooner you recognize the way, the better you will be able to confront this challenge. · Pools of Talentto choose from- While placing a search for a specific job opening or vacancy, recruiters will come across numerousjob CVs or applications. To a great extent, such process makes the job quite tough and stressful for recruiters. Selecting thetop candidatesamong a pool of efficient candidates isn’t an easy affair. It will lead to heavyresponsibilitiesto take special care while choosing the right talent for the job. · OutdatedHiring Strategies- Advanced search tools andTechnology innovations are arriving into the market at high pace. RPO Companies in India need to cope up and embrace the changed technologies right now.Some of the staffing and HR Recruitment firms are still relying on outdated technologies, processes and ‘been-there-done-that’ hiring strategies. These are not going to work any longer, and it’s time for them to embrace advanced version. Accepting the new and innovative technologies and resources is the best thing to do.